The SPG15 two-way loudspeakers weigh less than 35 pounds and pack a ton of punch. The SPGN15 features 1600-watt peak power capacity. They are designed with a 1.35-inch pure titanium high-frequency compression driver, and a 15" low frequency transducer with a 3" high temperature aluminum voice coil to handle extreme power. Rockville SPGN154 15" Passive 1600 Watt 4 Ohm Lightweight DJ PA ABS Cabinet Speaker. Power Handling: 400 Watts RMS / 800 Watts Program Power / 1600 Watts Peak. High power long-throw 15'' woofer with 3" aluminum voice coil provides incredibly deep bass and acoustic power. 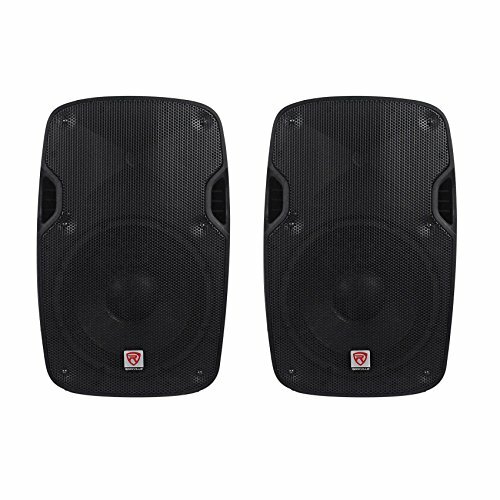 High-power 2-way pro sound reinforcement speaker system for live sound and play back applications.